What are the types of malware? How can you prevent, detect, or remove it? We've got answers. What is CVE, its definition and purpose? Malware, short for malicious software, is a blanket term for viruses, worms, trojans and other harmful computer programs hackers use to wreak destruction and gain access to sensitive information. As Microsoft puts it, "[malware] is a catch-all term to refer to any software designed to cause damage to a single computer, server, or computer network." In other words, software is identified as malware based on its intended use, rather than a particular technique or technology used to build it. This means that the question of, say, what the difference is between malware and a virus misses the point a bit: a virus is a type of malware, so all viruses are malware (but not every piece of malware is a virus). A worm is a standalone piece of malicious software that reproduces itself and spreads from computer to computer. A virus is a piece of computer code that inserts itself within the code of another standalone program, then forces that program to take malicious action and spread itself. A trojan is a program that cannot reproduce itself but masquerades as something the user wants and tricks them into activating it so it can do its damage and spread. Malware can also be installed on a computer "manually" by the attackers themselves, either by gaining physical access to the computer or using privilege escalation to gain remote administrator access. Spyware is defined by Webroot Cybersecurity as "malware used for the purpose of secretly gathering data on an unsuspecting user." In essence, it spies on your behavior as you use your computer, and on the data you send and receive, usually with the purpose of sending that information to a third party. A keylogger is a specific kind of spyware that records all the keystrokes a user makes—great for stealing passwords. A rootkit is, as described by TechTarget, "a program or, more often, a collection of software tools that gives a threat actor remote access to and control over a computer or other system." It gets its name because it's a kit of tools that (generally illicitly) gain root access (administrator-level control, in Unix terms) over the target system, and use that power to hide their presence. Adware is malware that forces your browser to redirect to web advertisements, which often themselves seek to download further, even more malicious software. As The New York Times notes, adware often piggybacks onto tempting "free" programs like games or browser extensions. Ransomware is a flavor of malware that encrypts your hard drive's files and demands a payment, usually in Bitcoin, in exchange for the decryption key. Several high-profile malware outbreaks of the last few years, such as Petya, are ransomware. Without the decryption key, it's mathematically impossible for victims to regain access to their files. So-called scareware is a sort of shadow version of ransomware; it claims to have taken control of your computer and demands a ransom, but actually is just using tricks like browser redirect loops to make it seem as if it's done more damage than it really has, and unlike ransomware can be relatively easily disabled. 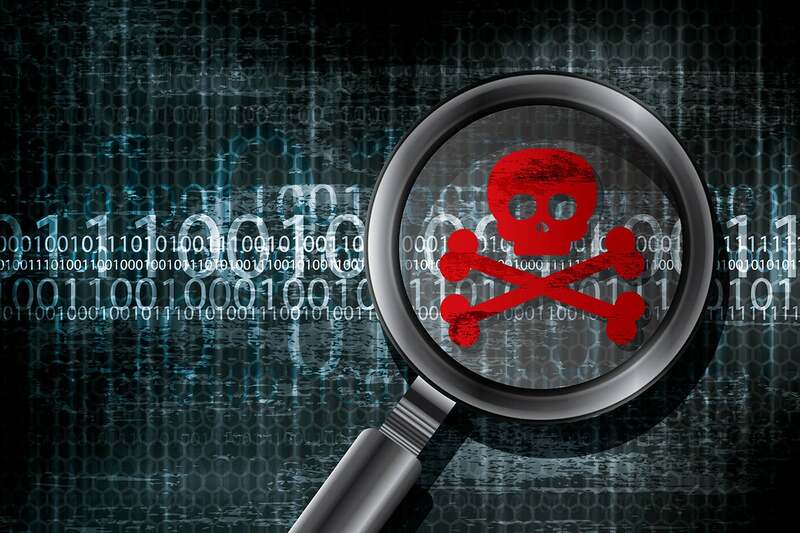 Any specific piece of malware has both a means of infection and a behavioral category. So, for instance, WannaCry is a ransomware worm. And a particular piece of malware might have different forms with different attack vectors: for instance, the Emotet banking malware has been spotted in the wild as both a trojan and a worm. A look at the Center for Internet Security's top 10 malware offenders for June of 2018 gives you a good sense of the types of malware out there. By far the most common infection vector is via spam email, which tricks users into activating the malware, Trojan-style. WannaCry and Emotet are the most prevalent malware on the list, but many others, including NanoCore and Gh0st, are what's called Remote Access Trojans or RATs—essentially, rootkits that propagate like Trojans. Cryptocurrency malware like CoinMiner rounds out the list. With spam and phishing email being the primary vector by which malware infects computers, the best way to prevent malware is make sure your email systems are locked down tight—and your users know how to spot danger. We recommend a combination of carefully checking attached documents and restricting potentially dangerous user behavior—as well as just familiarizing your users with common phishing scams so that their common sense can kick in. When it comes to more technical preventative measures, there are a number of steps you can take, including keeping all your systems patched and updated, keeping an inventory of hardware so you know what you need to protect, and performing continuous vulnerability assessments on your infrastructure. When it comes to ransomware attacks in particular, one way to be prepared is to always make backups of your files, ensuring that you'll never need to pay a ransom to get them back if your hard drive is encrypted. Antivirus software is the most widely known product in the category of malware protection products; despite "virus" being in the name, most offerings take on all forms of malware. While high-end security pros dismiss it as obsolete, it's still the backbone of basic anti-malware defense. Today's best antivirus software is from vendors Kaspersky Lab, Symantec and Trend Micro, according to recent tests by AV-TEST. When it comes to more advanced corporate networks, endpoint security offerings provide defense in depth against malware. They provide not only the signature-based malware detection that you expect from antivirus, but anti-spyware, personal firewall, application control and other styles of host intrusion prevention. Gartner offers a list of its top picks in this space, which include products from Cylance, CrowdStrike, and Carbon Black. It's fully possible—and perhaps even likely—that your system will be infected by malware at some point despite your best efforts. How can you tell for sure? CSO columnist Roger Grimes has written a deep dive into how to diagnose your PC for potential malware that you might find helpful. When you get to the level of corporate IT, there are also more advanced visibility tools you can use to see what's going on in your networks and detect malware infections. Most forms of malware use the network to either spread or send information back to their controllers, so network traffic contains signals of malware infection that you might otherwise miss; there are a wide range of network monitoring tools out there, with prices ranging from a few dollars to a few thousand. There are also SIEM tools, which evolved from log management programs; these tools analyze logs from various computers and appliances across your infrastructure looking for signs of problems, including malware infection. SIEM vendors range from industry stalwarts like IBM and HP Enterprise to smaller specialists like Splunk and Alien Vault. How to remove malware once you're infected is in fact the million dollar question. Malware removal is a tricky business, and the method can vary depending on the type you're dealing with. CSO has information on how to remove or otherwise recover from rootkits, ransomware, and cryptojacking. We also have a guide to auditing your Windows registry to figure out how to move forward. If you're looking for tools for cleansing your system, Tech Radar has a good roundup of free offerings, which contains some familiar names from the antivirus world along with newcomers like Malwarebytes. Conficker, a worm that exploited unpatched flaws in Windows and leveraged a variety of attack vectors – from injecting malicious code to phishing emails – to ultimately crack passwords and hijack Windows devices into a botnet.